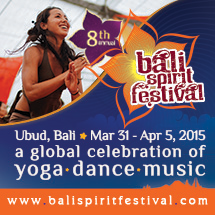 A truly global event, the annual BaliSpirit Festival, Southeast Asia’s premier yoga, dance, and world music celebration, will open its gates to the international community once again from March 31st to April 5th, 2015. Now in its 8th year, this spiritually charged event attracts nearly 6,000 visitors over 5 days to Ubud, Bali, to celebrate the synergy of global cultural collaboration through the sacred arts: from yoga, healing, and meditation to diverse, creative expressions of music and creative movement. Named one of the “Top Yoga Festivals Around the Globe” (Yahoo News), BaliSpirit Festival features over 150 daytime workshops set in the stunning, tropical surroundings of Bali, led by dozens of top international instructors, inspirational speakers, and holistic healers such as Simon Park (USA), Janet Stone (USA), Michiko Minegishi (Japan), Nadine McNeil (Jamaica), Ronan Tang (China) and many more. Soulshine Bali is a villa, retreat oasis and cafe, owned by Michael Franti, nestled between stunning rice field terraces of the village of Ubud and the Tukad Bembeng river. A chic and playful boutique getaway, Soulshine is the perfect escape for a romantic vacation, rejuvenating yoga retreat, or an unforgettable wedding or family gathering. Chill out with a refreshing juice poolside and enjoy a wide range of Balinese, contemporary organic, or vegetarian delights from the Soulshine Cafe. Come play with us and let your soul soar in the sun! 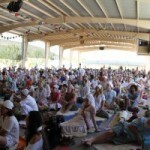 Summer Solstice is an all-inclusive retreat for the body and soul. You will have the opportunity to experience Kundalini Yoga as Taught by Yogi Bhajan®, International Peace Prayer Day, White Tantric Yoga®, daily group Sadhana, Gurdwara, and many other enlivening events. You will enjoy a cleansing Ayurvedic diet, the pure mountain air of Northern New Mexico, and the collective inspiration of nearly 2,000 participants from over 35 countries. You will emerge from this journey with a spiritual perspective that reverberates through your being, your home, and your community. 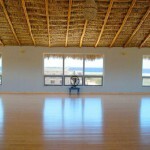 Let the Summer Solstice Sadhana Celebration catalyze you into the Aquarian Age. 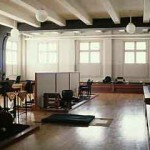 Beginner’s Mind Temple (Hosshin-ji), also known as City Center, was established in 1969 by Shunryu Suzuki Roshi as a training center in the Soto Zen tradition open to the general public. Esalen. The word itself summons up tantalizing visions of adventure, of unexplored frontiers, of human possibilities yet to be realized. There is the wonder of the place itself, 120 acres of fertile land carved out between mountain and ocean, blessed by a cascading canyon stream and hot mineral springs gushing out of a seaside cliff. There is the delicate and subtle Big Sur air of a late afternoon in May, the midnight mist of July, the drenching February rain. There are October nights so clear the Milky Way can light your walk along the darkened garden path. And always there is the sound of the sea. Be adventurous and transform yourself during a weeklong retreat with Pura Vida Adventures. 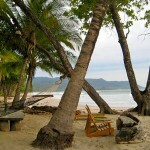 Our intention is to rejuvenate and to empower the mind, body and spirit through surfing, yoga and the “pura vida” way. Our retreats draw inspiration from the Costa Rican phrase “pura vida,” which, loosely translated, means “enjoy life.” This spirit is infused into every aspect of our retreats. 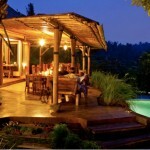 Pura Vida Adventures is about giving you a new experience and perhaps a new outlook on life.